Collier added that the move by the agency was part of its strategy to maintain a focus on delivering transparency for the agency's growing client list which includes News.com.au, Plush, Schneider Electric, Caltex, Freedom and Racing Victoria. “The partnership with Bohemia is indicative of Sizmek’s renewed focus on delivering innovative, transparent and effective results for clients across Australia and the wider APAC region," Sizmek APAC general manager Peter Hunter said. 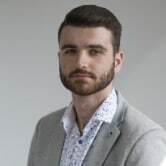 The announcement follows the recent appointment of Bohemia's new national strategy director James Boardman, to the newly created role within the business. 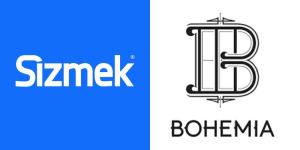 Bohemia has inked a new deal with buy-side advertising platform Sizmek to deliver a new digital media performance platform for its programmatic buying. As part of the partnership, Bohemia and Sizmek have created a Target Audience Guaranteed (TAG) solution, which according to the two, will offer Bohemia clients a "risk-free, 100% on-target audience, 100% viewable media buy", verified by Nielsen and Integral Ad Science. Touted as a 'market-first initiative', Bohemia states it will offer clients zero risk when running programmatic campaigns and will drive enhanced performance, media and brand results. Additionally, it says Bohemia’s clients will benefit from deeper access to the programmatic intelligence, data and creative optimisation capabilities of Sizmek’s newly overhauled demand-side platform (DSP). “Bohemia was founded to challenge the media status quo. Unfortunately, much of today’s programmatic market still requires the client to accept a level of questionable delivery," Bohemia head of performance James Collier said.